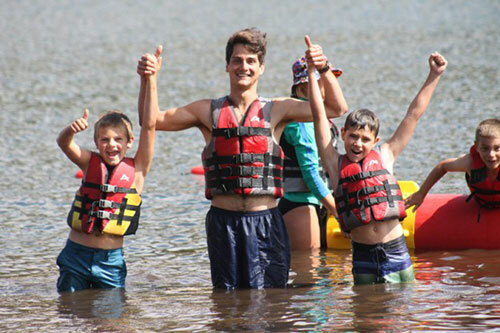 The primary responsibility of Gold Arrow Camp counselors is the care and safety of all campers. We are looking for counselors who are positive role models, who enjoy working with kids and being outdoors, who genuinely want to invest in the lives of young people and commit to their growth, happiness, and friendship. 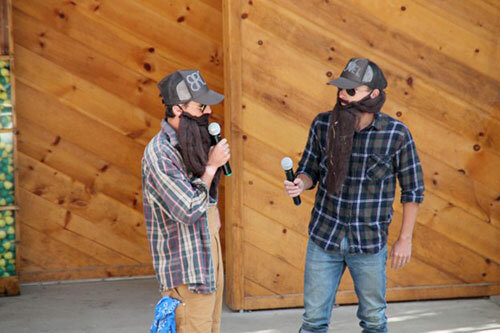 Counselors* live in a rustic cabin or large tent with 8-10 campers and at least one other counselor in the cabin. There will be a lack of privacy some people aren’t used to, but you will have your own bed and area to store your personal items. In addition to a lack of personal privacy, this job is 24/7 and hard work. There are other summer jobs that will be less demanding and maybe even offer higher pay. 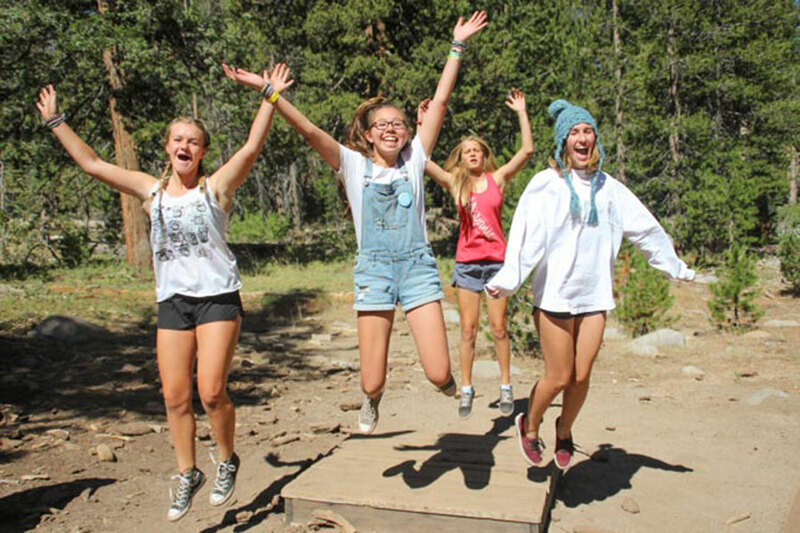 You have to ask yourself why you want to be a camp counselor – if it is to have a fun, easy job this summer, you want to rethink what you consider easy and fun. 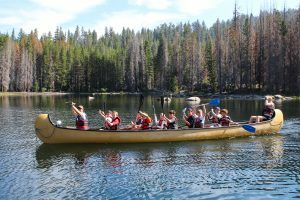 We do structured activities at Gold Arrow Camp, which means that campers go to activities in the morning and afternoon with their cabin groups. 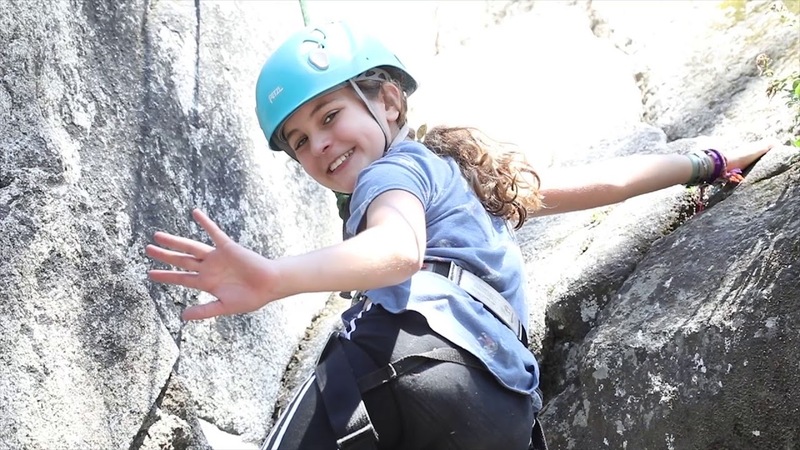 We’ve found that campers, when faced with a challenging activity, are more likely to push themselves if they’re around people they know and trust who are going to encourage them. In each activity, our main focus is always on the camper. While we do offer a wide range of fun, challenging activities, the primary goal of each activity is the growth and development of our campers. While waterskiing is a fun activity, it’s about the life lessons they’re learning – failure hurts, attitude is everything, growth and accomplishment takes work. 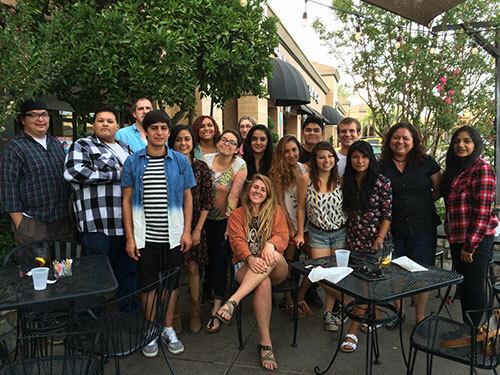 Click here to apply for Gold Arrow Camp 2019! There are two types of counselor positions at Gold Arrow Camp, a Group Counselor and an Activity Counselor. The Group Counselor (GC) is responsible for building relationships with each individual camper, facilitating and managing friendships in the cabin group, resolving conflicts, caring for the needs of each camper, and fostering growth. GCs go to activities with campers and, while on activity, they are participating alongside campers, sometimes even trying new things for the first time themselves. arrive at program areas where they will be assigned to specific instructors for each activity. As an AC, you are assigned to a specific area in camp: Waterfront, Sailing, Rock Climbing and Ropes Course, Target Sports, GACting, Arts and Crafts, Horses* and Backpacking*. ACs are assigned to a specific program area and will be trained on all activities within that program area. *Backpacking Instructors and Wranglers live in separate tents. Click on an activity below to view its video. Excellent role model for children. High moral standards, including no alcohol, drugs, smoking, or inappropriate language. Neat and professional appearance: No tattoos, body piercings, earrings on men, unconventional hair color or style. Desire, commitment, and ability to work with young people. Enthusiasm for the outdoors and the program Gold Arrow Camp offers. Compatibility with camp philosophy and mission. Concern for safety and well-being of others. Ability to communicate and work with children ages 6-14 and provide necessary instruction. Ability to seek and accept supervision and guidance. Accepting of diversity in religions, ethnicity, culture, and race. Able to treat all campers and staff fairly. Willing to take alcohol and/or drug tests on request of employer. Must possess strength and endurance required (at 7000 feet altitude) to maintain constant supervision of campers. 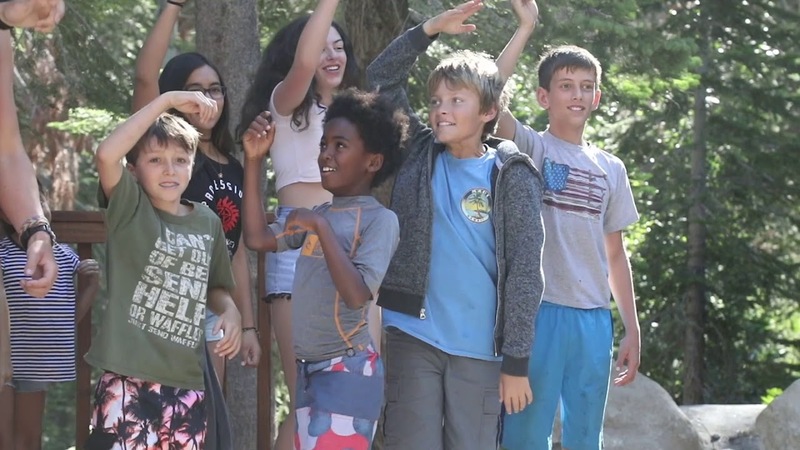 Ability to observe camper behavior, assess its appropriateness, enforce appropriate safety regulations and emergency procedures, and apply appropriate behavior management techniques as trained by camp. Visual and auditory ability to identify and respond to environmental and other hazards related to camp activities. Able to assist campers in an emergency (fire, evacuation, illness, or injury). Able to follow, observe, and enforce all camp safety regulations. Fun-loving people who are committed to creating a safe, healthy, and fun experience for children. Non-complainers who actively seek solutions rather than dwelling in problems. Honest people who can follow simple, clear rules and expectations. Positive people who can help children through times of homesickness, nervousness, and doubt. People who are able to put the needs of others ahead of their own. People who can build up a sense of confidence in others. People who hold strong, clear values and who can communicate those values to others. People who make healthy choices about self-care and relationships. People who have a desire to help others learn to be their best selves. Gold Arrow Camp’s support staff members are crucial to the success of every camp season, and we recruit annually for the following positions. The Lead Cook directs others in the preparation and serving meals each day. The Lead Cook gives direction to all the Kitchen Assistants, who are also supervised by the Food Service Manager, to form a cohesive group working to provide nutritious, well-prepared, and timely meals to all campers, staff, and guests. Kitchen Assistants are part of the summer food service team, which consists of 13-15 people and prepares three meals a day for a population of 300-400 children and adults. The essential job functions are assisting in the daily operations of the camp’s food service, assisting the routine sanitation of the kitchen and related equipment, working as a member of a food service team, and assisting in the reception, inventory, and storage of food deliveries. Find out more about our food at camp. Office Assistants are responsible for keeping the office administrative work organized, accurate, and up-to-date. The focus of the office is to facilitate the enrollment of campers and recruitment of staff for the following summer. Each Office Assistant works closely with the Office Manager and Camp Directors to keep all office operations running smoothly. 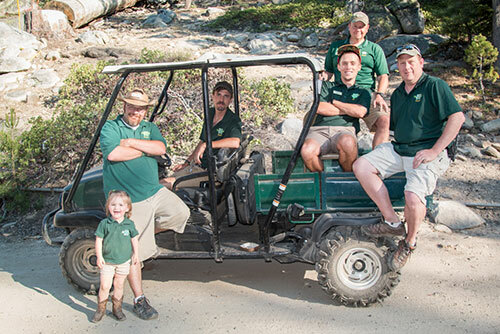 Gold Arrow Camp always needs a strong maintenance team, which includes repair people and mechanics for daily summer operations. The team consists of 5-7 people who maintain camp each day for a population of 300-400 children and adults. The essential job functions are assisting in the daily operations of camp, routinely repairing and maintaining equipment, working as a member of an operations team, lifting heavy equipment, and filling gas in tanks around camp. For a complete job description of a specific position, please contact the camp office.